Tuesday Poll: What’s the Perfect Smartphone Display Size? Last year, we posed this same question, asking which display size our community preferred. Taking a look at the results, we find that the majority of our readers prefer a 4.6″-5″ display, with the aforementioned range dominating the field at 55%. Interestingly enough, we asked that question before the release of Shamu, aka the Nexus 6, with its 6″ display. Now, with that device and other phones available with monstrous-sized displays, we should see a different outcome to the same question, given that we surely do have a few Nexus fans here. As for me personally, I like an easily manageable 5″ display size. If I need something more, I’ll just grab a tablet. I don’t want to stretch my fingers anymore than I have to. For this poll, select your preferred display size range, then comment below with your perfect size. If you see your size posted already in the comments, vote it up. 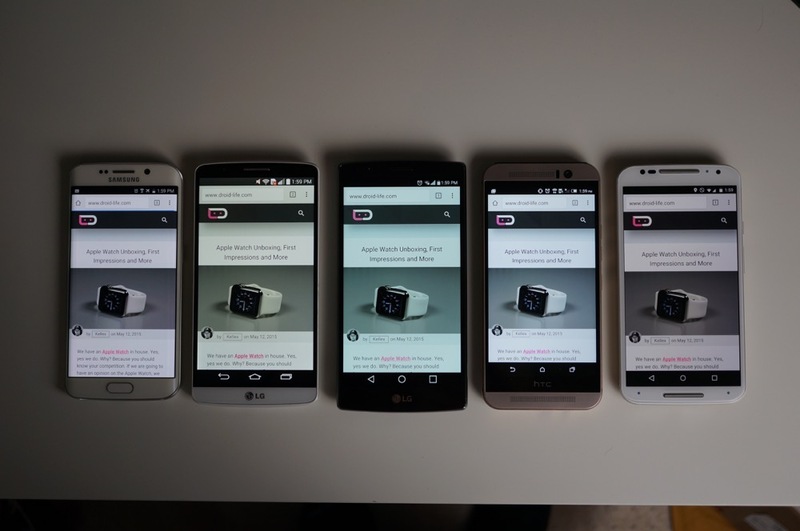 What’s the Perfect Smartphone Display Size?